The state of Portuguesa is Venezuela’s breadbasket – full of crops like rice, beans, soya and sunflowers. It is also where Venezuela’s staple corn is grown – the raw material for much-loved corn patties or arepas. Imposing metal silos stand tall on the horizon. At a time when people in the country are going hungry, Portuguesa is a strategic part of the economy. But the breadbasket is looking a bit emptier these days. Ronald Lakra and his family grow corn in the summer and in the winter, they switch to beans. He has seen different governments come and go and with that, production rise and fall. When Hugo Chavez came to power in 1999, Ronald says production improved. Ronald is a farmer in Portuguesa, growing corn and beans. The early days of his rule coincided with high oil prices. There was money to support industry. But when he died in 2012, everything changed. In 2010, the government nationalised the farm supply business. Agropatria is now responsible for supplying farmers with everything from seeds to pesticides. Timing is crucial and producers say the government is not delivering. This year, Ronald did not get fertiliser in time for his corn crop, so it suffered. The corn he does grow he has to sell at regulated prices because it is a government staple. He can only just keep the farm afloat. The problem is compounded by hyperinflation. Venezuela’s currency gets weaker every day so the cost of his materials, which are mostly imported, keeps rising. 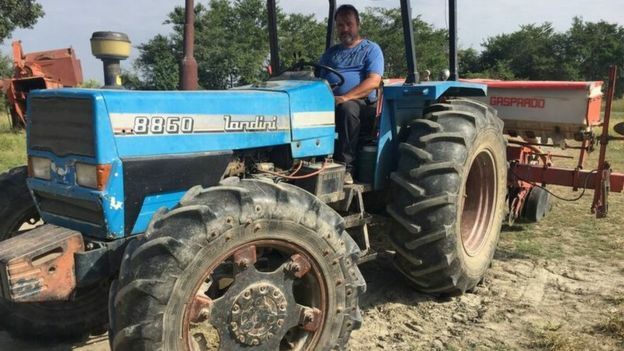 In just two weeks, the price of a tractor tyre has doubled. Ronald shows me around his John Deere harvester. He needs a replacement part but there is no longer a local supplies store in town so he has to get it shipped from the US. That means saving up for the part and depositing the money in dollars. The shipment can take months to arrive. Ronald’s problems do not end there. In the farmyard is a half-built house meant for his mother. He could not get hold of cement at a decent price so he stopped work. The only residents are his flock of sheep. The number has dwindled in recent months as he had to sell some. Some hungry Venezuelans in search of some protein stole a couple too. Insecurity in this part of the world is rising. 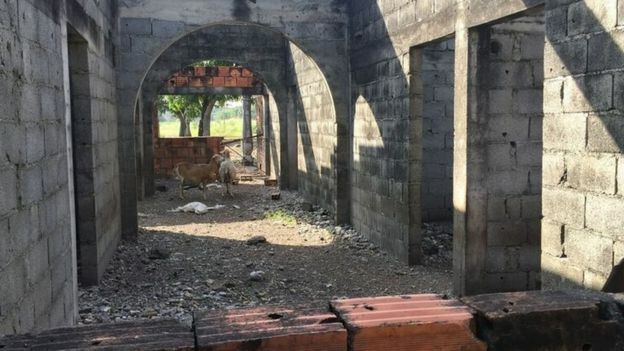 In Venezuela’s agricultural heartland, basics have become luxuries. 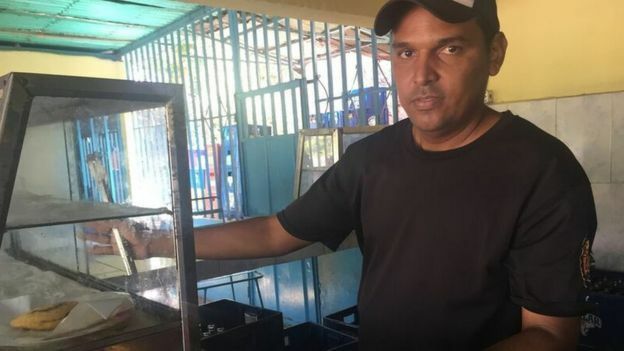 Luis Mendez sells arepas in his family café in the town of Apartadores. He has noticed business slow right down. One of the tenets of the revolution under Hugo Chavez was to redistribute land from the rich to the poor. He wanted to boost production and end the country’s dependence on food imports. But there is little hope of that yet. 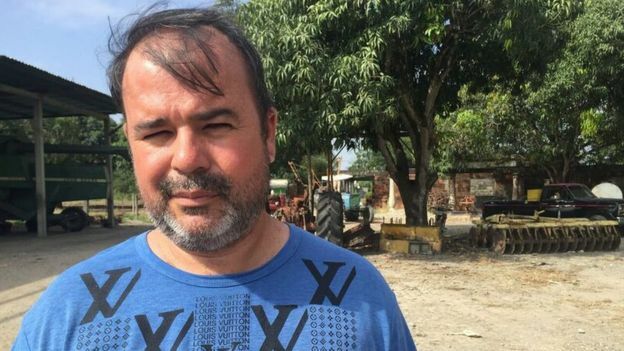 “Venezuela used to produce 70% of its food – now we import 70% of the food,” says Ramon Bolotin, a director at Venezuela’s Confederation of Associations of Agricultural Producers. On the border with Portuguesa and Cojedes state, cattle farmer Manuel Vicente Parra shows me around his 300-hectare farm. He has had to fight hard to keep his farm, making sure he has all the documents needed to show he owns the land and is productive. Some of his friends have not been so lucky. But while he still has the land, Manuel has cut the number of cattle he owns because of the crisis. “Meat’s expensive for the average person but it’s also expensive to produce,” he says. Buying supplies, vaccines and machinery from abroad is expensive. Manuel’s started growing crops but even that is not without its challenges. 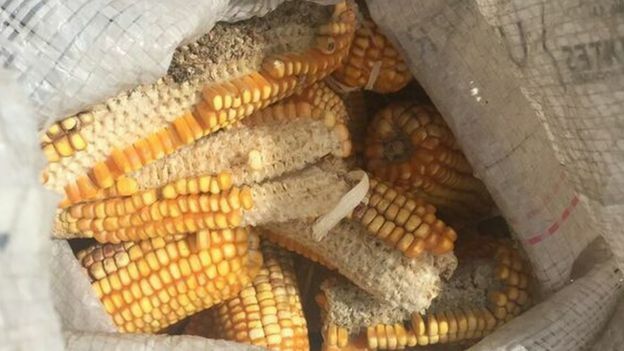 His corn was stolen by hungry villagers desperate for a meal so he has switched to soya. It is a pattern that is increasing – insecurity and the lack of incentive to grow a crop that costs more to produce than you can sell it for. Since 2008, production of corn has fallen nearly 60%. He has one message for the government: “We need the state, and the state needs us and the only way right now is to sit down and understand each other. If that happens, he believes, Venezuela’s breadbasket could provide for its people.